Used to be we worried about TV time but now it is Screen Time that has us in a knot! Posted August 18th, 2017 by Mike Boyes & filed under Basic Cognitive Functions In Aging: Information Processing Attention Memory, Child Development, Early Social and Emotional development, Families and Peers, Human Development, Intervention: Children and Adolescents, Learning, Motivation-Emotion. Description: Back when I was a child (a loooong time ago) one of the biggest parental concerns was whether or not they should limit the amount of time we spent watching television. After a couple of decades of research it was decided that the amount of television watched mattered partly because of what was watched (non-cognitively stimulating fare) and what was NOT done (physical activities replaced by “couch potatoing”). So where are we at with such concerns today? It must be all figured out right? Oh my no! One of today’s largest points of popular and developmental research debate is not TV time but “Screen Time”, including internet use, gaming and smartphone use with numbers that make TV use back in my childhood look like nothing at all. Think about what you think our level of concern should be about teenager’s screen time these days and then read the article linked below. As you do think about what sorts of studies we need to do to start to sort ot the questions assictaed with concerns over the amount and content of screen time among children and youth these days. (These sorts of questions have NOT been even slightly sorted out as yet). Source: Are smartphones really making our children sad? Ian Tucker, the Observer. So obviously there are strong and extreme views on this matter. But sporting our the questions and the answers with research is difficult in the same way it was difficult with TV. When most people have or use something it is VERY hard to sort out its effects from the compounding effects of other things. We need to pay attention to what is being done on the screens but we also need to attend to what is NOT being done; like physical activity — Pokemon Go was supposed to be a fix for that – like face-to-face social interaction (we are still trying to figure out the impact of THAT reduction. And how much is just that things like life in the world is simply going to be different going forward. We have a LOT of research AND thinking to do! And parents need some guidance. So how big a deal is the amount of screen time spent by children and youth these days? What does research tell us about the developmental effects of screen time? What sorts of research are need to clearly address the questions and issues that are posed by screen time concerns and how should (or can) that research be designed? Screen-based lifestyle harms children’s health, https://www.theguardian.com/education/2016/dec/25/screen-based-lifestyle-harms-health-of-children 40 academics weigh in. Screen time guidelines need to be built on evidence, not hype, https://www.theguardian.com/science/head-quarters/2017/jan/06/screen-time-guidelines-need-to-be-built-on-evidence-not-hype , More than 40 academic respond to this concern calling it moral panic. 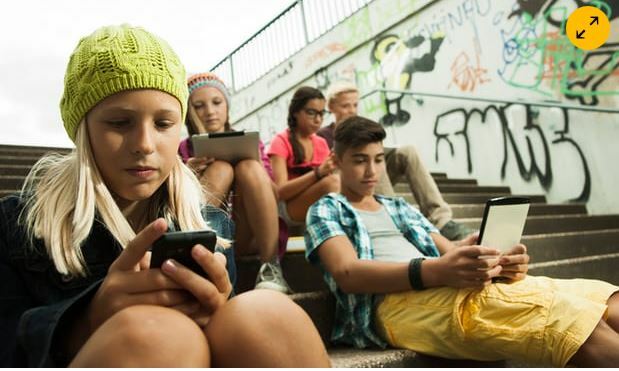 Twenge, Jean (2017) iGen: Why Today’s Super-Connected Kids Are Growing Up Less Rebellious, More Tolerant, Less Happy – and Completely Unprepared for Adulthood – and What That Means for the Rest of Us. Simon and Schuster.